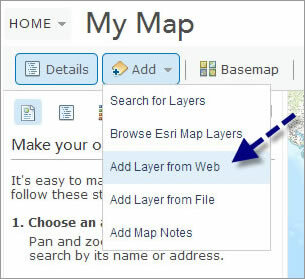 Some layers in your ArcGIS Online web map may continually update, such as a GeoRSS feed or a feature service that adds new information as workers in the field perform edits. When the map or layers are redrawn, this data refreshes. 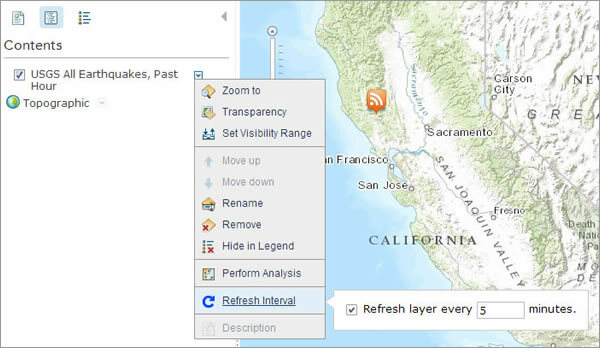 But by using the refresh interval property on these layers (a new capability introduced in the latest ArcGIS Online update), you can force an automatic refresh at a specific time interval. These refreshes occur even while the map is open and idle and will synchronize the map anywhere it is accessed—via browsers, desktops, or devices. The US Geological Survey (USGS) publishes continually updated earthquake data in a variety of formats, including the Atom syndication. Open the USGS web page. 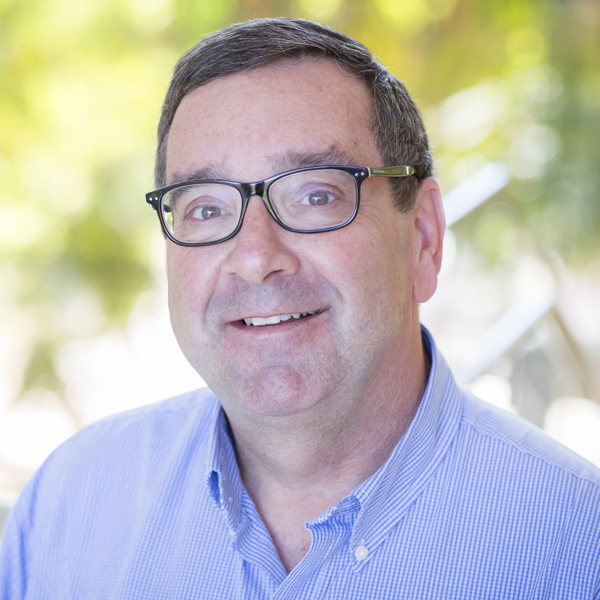 Look in the upper-right portion of the page. 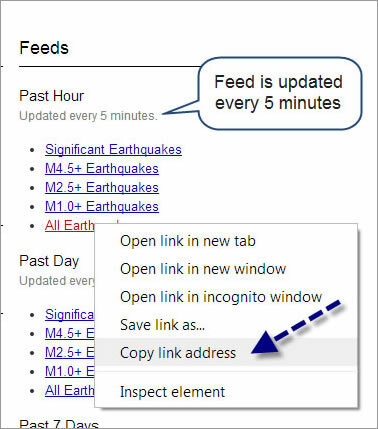 You will see a list of available feeds that show earthquakes of various magnitudes in time periods that range from the past hour to the past 30 days. The map now displays earthquakes that have occurred over the last hour. Since the feed is updated every five minutes, set the refresh interval on the layer to match. Click the arrow next to the layer name and choose Refresh Interval. Make sure the refresh box is checked, then enter your desired interval (in this case, 5 minutes). The interval must be expressed in minutes but can range from 0.1 (six seconds) to 1,440 (one day). When you save the map, the layer properties persist and the layer will automatically refresh at the interval you specified. 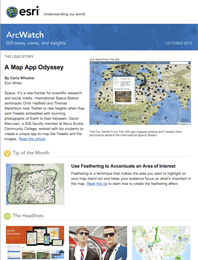 View the Sample web map.